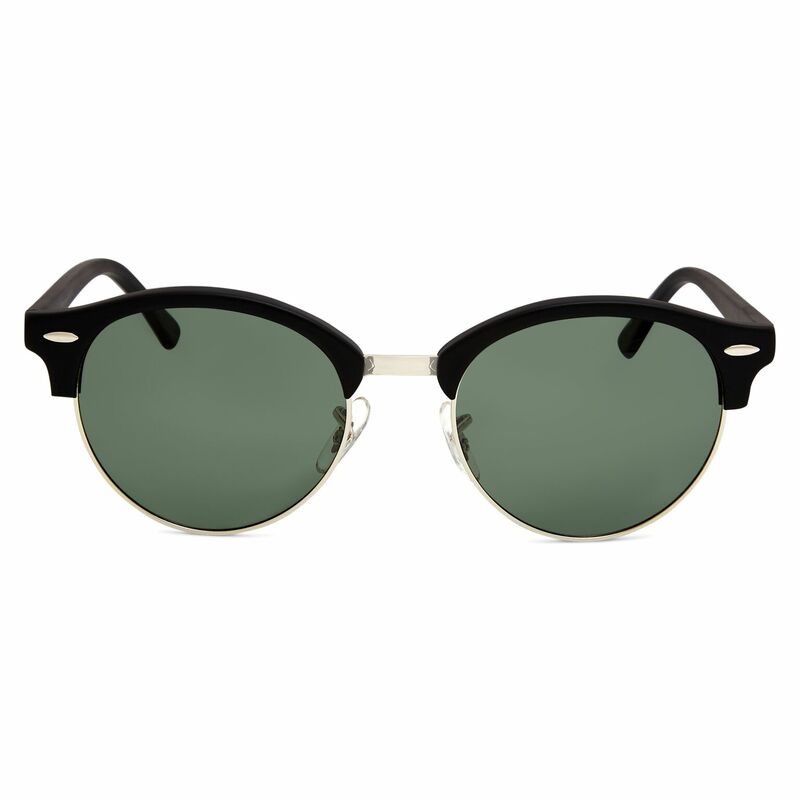 Add a fresh modern twist to your outfit with a pair of TONY+WILL Nile in Matte Black with green G15 lens. 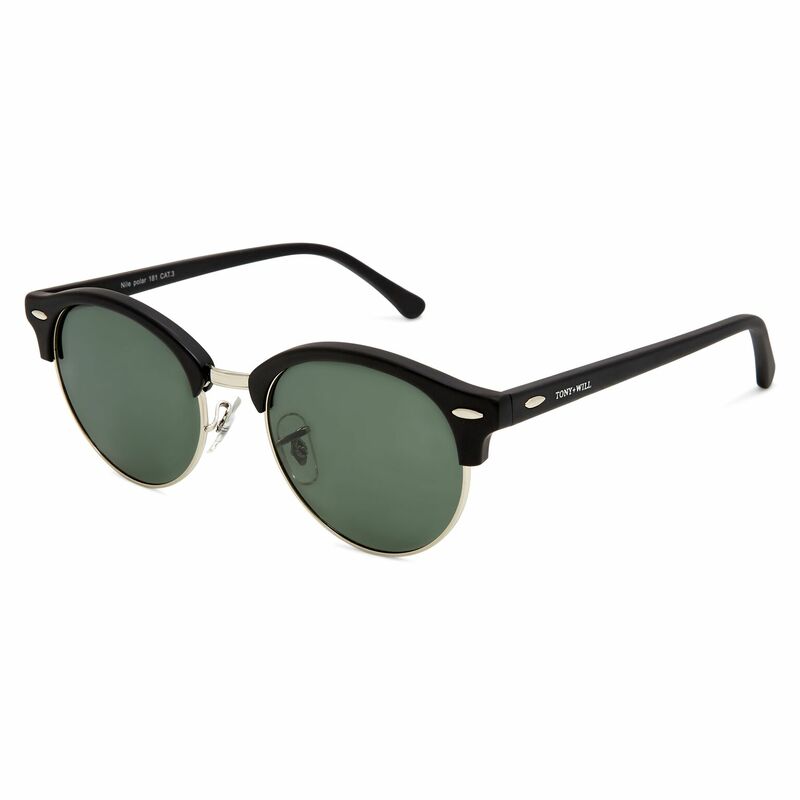 Designed in a timeless, distinctive clubmaster inspired shape that will suit all faces, these semi rimless sunglasses feature round polarised mirrored lenses and are finished with a metal adjustable nose bridge and metal lens rims and acetate upper frame. 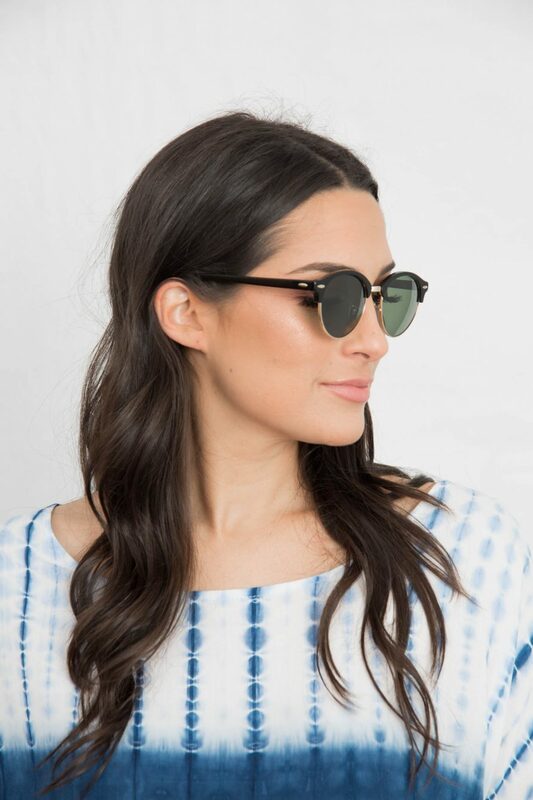 Ideal for day to day wear, the Nilesunglasses will make the perfect finishing touch to any outfit or occasion during those bright sunny days! 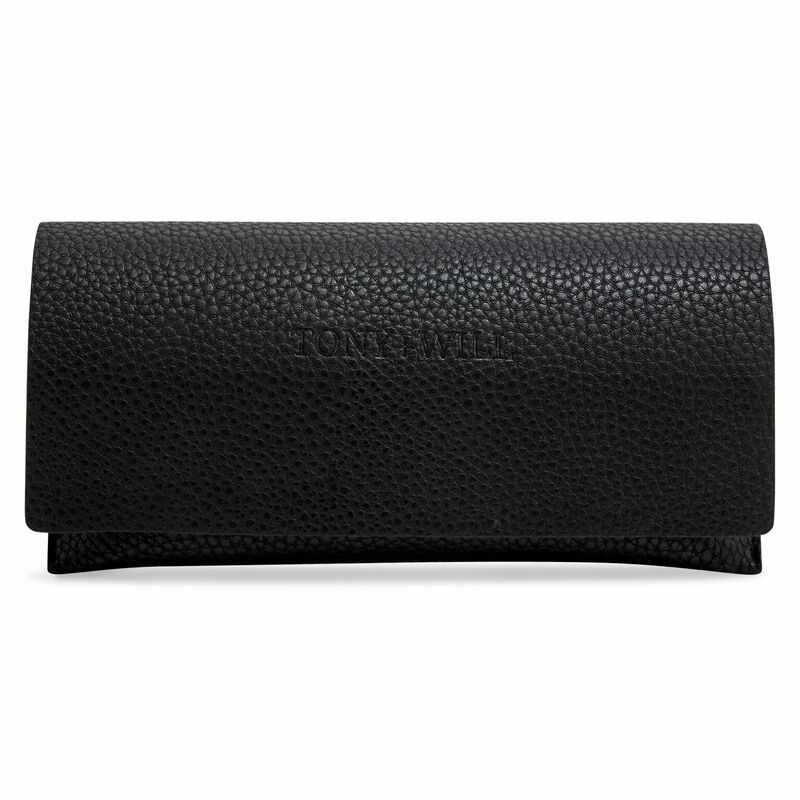 Each pair of sunglasses comes with a protective case. Lens category 3 – offers high sun glare reduction and good UV protection. 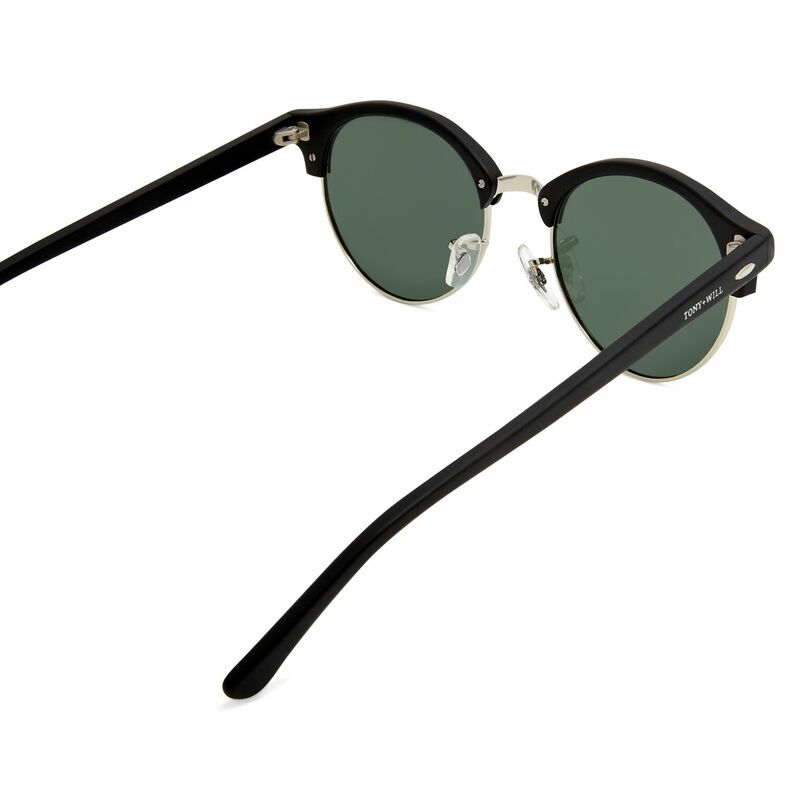 Sunglasses conform to the mandatory components of Australian Standard AS/NZS 1067:2003. Each pair of sunglasses comes with a 12 month warranty.